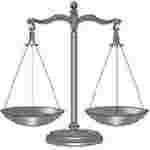 e- Court recruitment 2017 notification has been released on official website www.ecourts.gov.in for the recruitment of 05 (five) for Peon vacancies. Walk-in-Interview 11th to 13th December 2017. Educational Qualification: Middle Standard pass and having knowledge of Hindi and Punjabi. Age Limit: The age of candidate should be between 18 to 42 years as on 01.01.2017. Interested and eligible aspirants may appear for Interview along with application on plain paper with complete bio data, original testimonials and experience at the time of Interview.